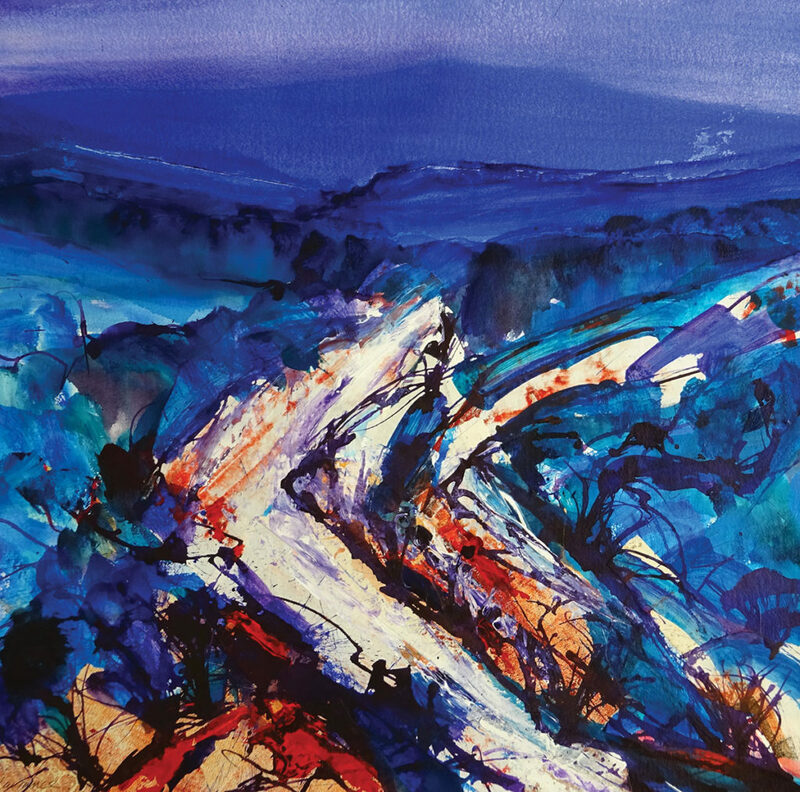 Mandells Gallery hosts Martin Laurance’s latest exhibition of landscape paintings, ‘Through the Senses’. 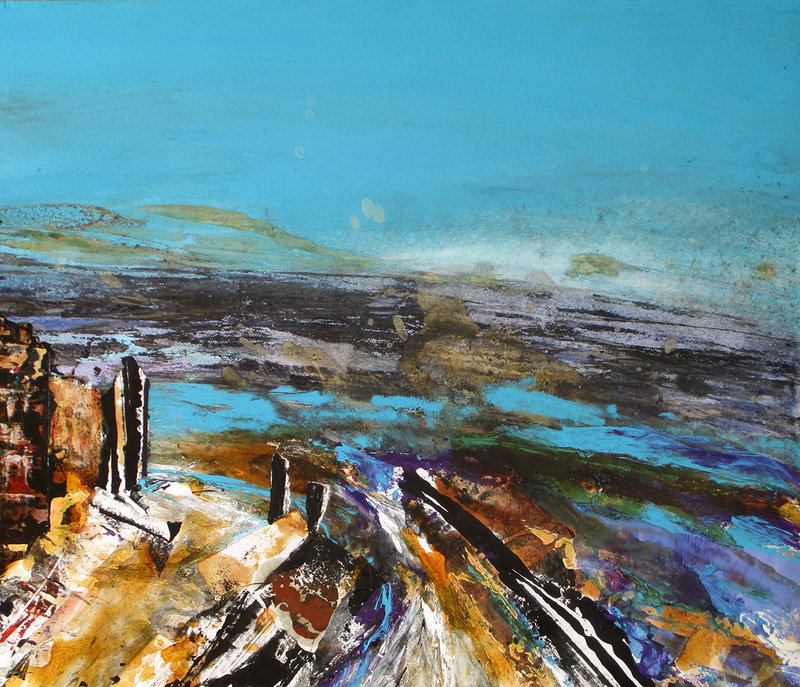 Featuring mixed media paintings and drawings, the works depict the eroding Norfolk and Suffolk coast, the dramatic landscapes of North Yorkshire; the harsh but beautiful coastline and moorland of Cornwall; as well as the often disquieting former military and nuclear testing site of Orford Ness in Suffolk. 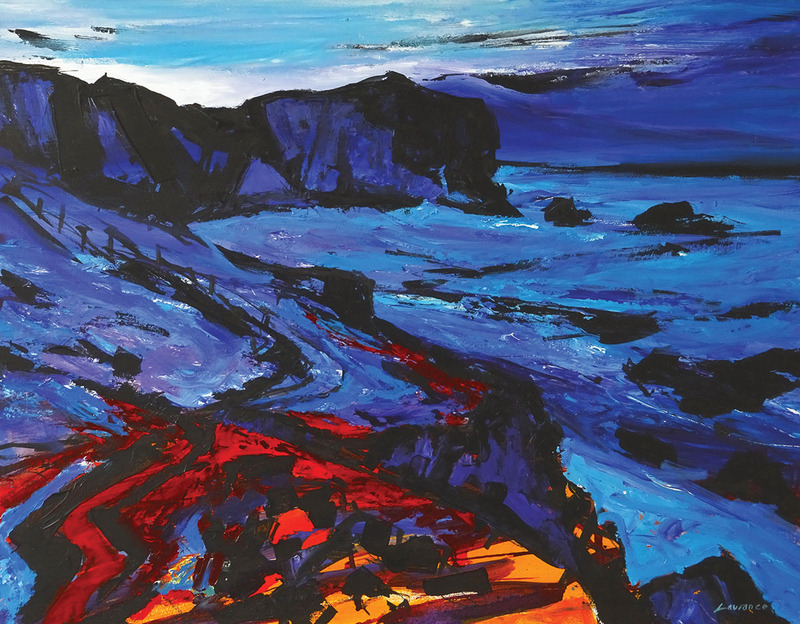 Martin says of his work, ‘My paintings have always been about my experience of being in a particular place, searching out through drawing and walking the uniqueness of that place alone. I return to the same places over and over again, the drawings building into a connection that transcends time and seasons. This working process allows me to tap into something deeper, an underlying reality. In the past two years I have spent time drawing on the Norfolk and Suffolk coasts, the Yorkshire Moors and Dales, North Cornwall and the north east of Scotland. These experiences provide the raw material for many of the paintings in this exhibition’. 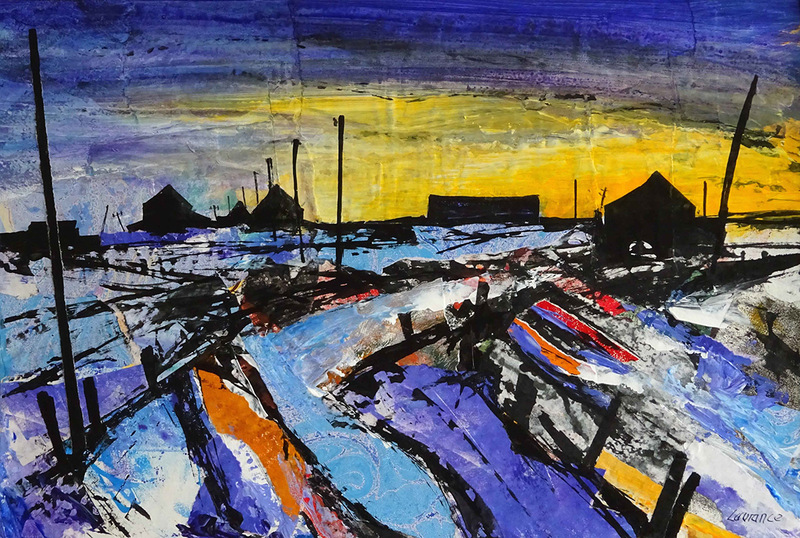 Martin Laurance has lived and painted in Norwich for many years, holding many successful exhibitions over that time. 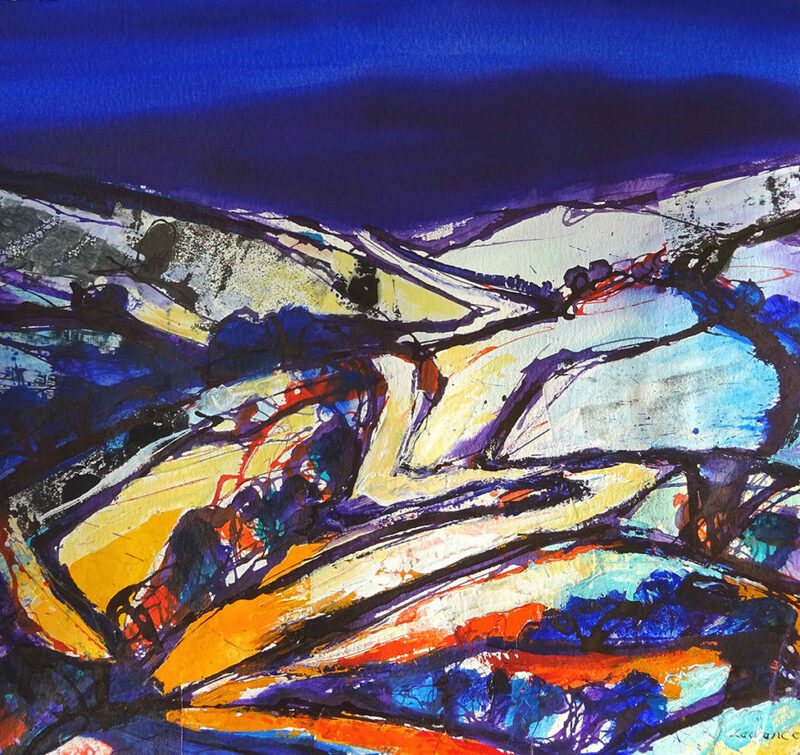 His paintings are exhibited throughout the UK and internationally. His work is in many collections including that of the National Trust. 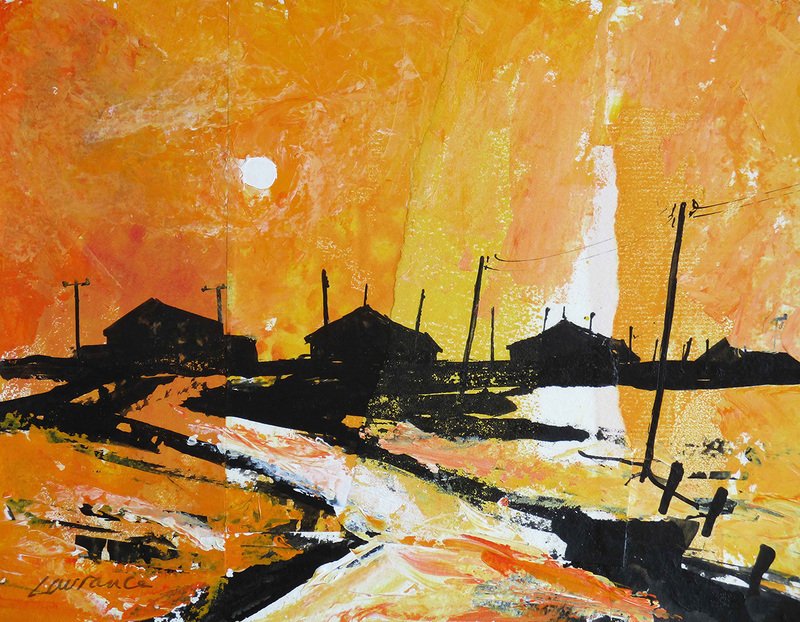 Mandell’s Gallery is very pleased to welcome Martin Laurance back for his 4th Solo exhibition at the gallery. Martin Laurance has a unique style, not derivative of, or in the manner of any other artist. His artworks can contain found paper pertaining to the subject, a shipping chart used as the basis for a coastal view, with layered paper and collage. 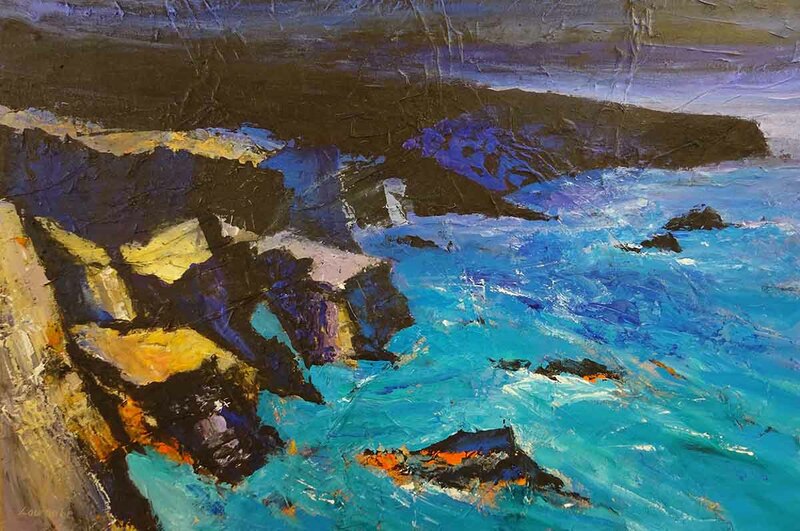 These elements provide a strong textural feel, this combined with his confidence in using strong colours result in highly individual work. Martin Laurance is equally happy with monochrome work. His oil paintings, at first glance, could be read as abstract works but on closer examination become more representational. 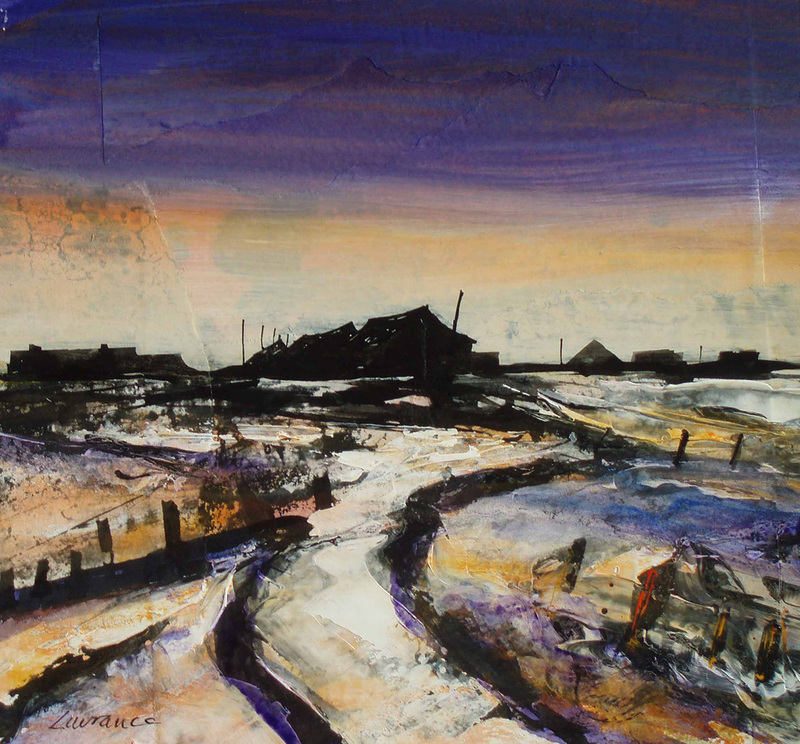 His recent paintings of the Norfolk coast feature strongly in this exhibition. "My paintings have always been about my experience of being in a particular place, searching out through drawing and walking the uniqueness of that place alone"